Edward Shippen was born in Philadelphia, the son of merchant Edward Shippen III. The Shippen family had been central in the area’s economic and political life. There was a large family network, and many of its members held multiple public offices simultaneously. Edward was no different. He learned law from Tench Francis, then Pennsylvania’s attorney general and his future father-in-law; young Shippen married Margaret Francis in 1753, and together they had nine children. After completing his legal studies at the Middle Temple in London, Shippen was appointed judge of the admiralty in 1755. Three years later he was elected to the city’s common council. He became a member of Pennsylvania’s Provincial Council in 1770. He was also a member of the American Philosophical Society. Through the 1760s and early 1770s, the Shippens enjoyed broad political power, but when the American Revolution erupted, they were deposed. Edward, like many of his family members, tried to remain neutral in the conflict until it became clear which side would win. He assumed such a position because, although he was opposed to the Stamp Act and other increasingly imperial measures, he also wished to retain his multiple offices, a practice outlawed by the revolutionaries. With the creation of the state of Pennsylvania in 1776, Shippen lost his appointments as judge of the admiralty court, prothonotary of the Pennsylvania Supreme Court, and member of the governor’s council. Shippen feared the replacement of the provincial assembly with a radical provincial convention consisting of radical Timothy Matlack and other such “violent wrongheaded people of the inferior class.” That same year Philadelphia abolished the Common Council, the majority of which had been Shippen kinsmen. As neither Tory nor Patriot, Shippen treaded carefully through the Revolutionary years. He was not arrested by the Revolutionary governments, but like many other royal government officials, he signed a “parole” promising not to interfere with the new government nor to flee the area. Shippen and his family retreated to the nearby countryside at the start of the war, and then returned to Philadelphia to protect his property when the British force was on the verge of taking the city. When the British evacuated in 1778, Shippen chose to remain, and cast his lot with the rebels. Two of his daughters were soon married off to prominent revolutionaries, Major Edward Burd and General Benedict Arnold. When the latter was found to be a traitor, his young Shippen wife was forced to return to Philadelphia in shame. 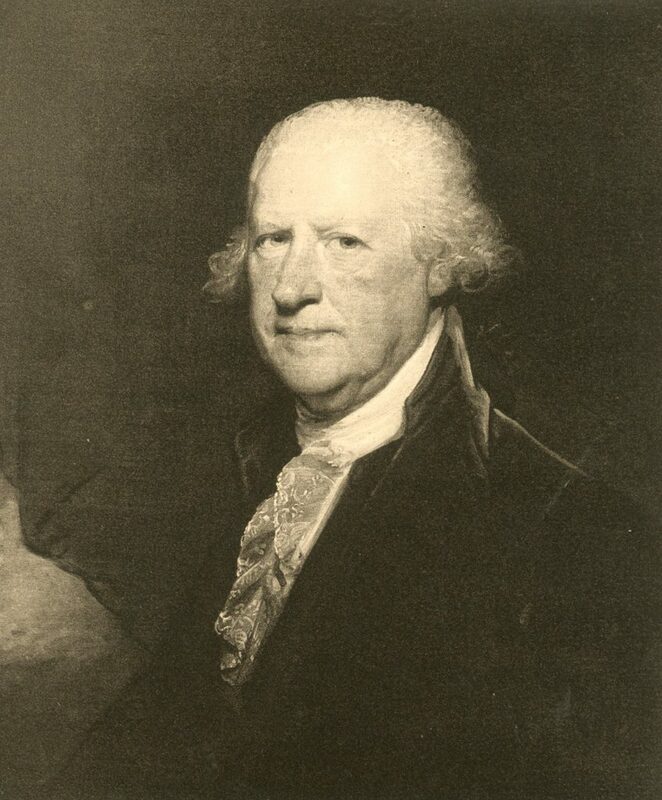 After the war Shippen suffered from the loss of political appointments and endured difficult financial times, but eventually his skill as a jurist secured him judicial positions such as president of Philadelphia’s Court of Common Pleas and judge of the orphan’s court. Ultimately, in 1791, he regained some of his former prestige with an appointment to the Pennsylvania Supreme Court, serving with Jasper Yeates and Edward Burd, both kinsmen and former students. Shippen became Chief Justice in 1799, but then, in 1804 he was impeached on flimsy, political grounds. The next year the Pennsylvania Senate acquitted him and his associates. Shippen retired to private life and died soon thereafter. Shippen served as a Penn trustee for almost fifty years. He was first elected a trustee of the College and Academy of Philadelphia in 1758 when he was only thirty years old. He continued to serve in this capacity through the American Revolution and the early days of the Republic, including a stint as the board’s treasurer in 1764 and 1765. Shippen did not serve on the board of the University of the State of Pennsylvania during its existence from 1779 to 1791. When the College and the University of the State of Pennsylvania were united to form the University of Pennsylvania in 1791, Shippen was elected by the College to serve on the University of Pennsylvania’s board of trustees. He served until his death in 1806.